OFCC World Mints > Canada > Royal Canadian Mint. This section of Obscure Finds Numismatic Collection is about a Mint (an industrial facility which manufactures coins for currency) from the Canada region referred to as the Royal Canadian Mint. Join us for interactive, guided tours featuring displays and behind-the-scenes looks at the Royal Canadian Mint's state-of-the-art facilities in Ottawa and Winnipeg. Finish your tour in our boutique where you can shop for collector coins, gifts, souvenirs and an exclusive line of Royal Canadian Mint clothing. To see our newest collections of gold and silver coins, look no further than the Royal Canadian Mint's Boutiques located in Ottawa, Winnipeg and Vancouver. 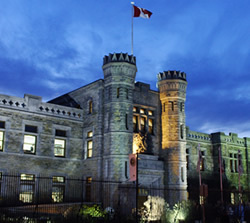 The Royal Canadian Mint (French: Monnaie royale canadienne) produces all of Canada's circulation coins, and manufactures circulation coins on behalf of other nations. The Mint also designs and manufactures: precious and base metal collector coins; gold, silver, palladium, and platinum bullion coins; medals, as well as medallions and tokens. It further offers gold and silver refinery and assay services. The Royal Canadian Mint is a Canadian Crown Corporation, and operates under the legislative basis of the Royal Canadian Mint Act. As a Crown Corporation, it is 100% owned by the Government of Canada, which is its sole shareholder. It also serves the public’s interest while mandated to operate “in anticipation of profit”, meaning that it functions in a commercial manner and does not rely on taxpayer support to fund its operations. Like private sector companies, the Mint has a Board of Directors consisting of a Chair, the President and CEO of the Mint and eight other Directors.